This wine from David Ramey is smooth and harmonious. It has nicely integrated flavors and is full bodied but not huge. In fact, it has a bit of the subtle restrain more common with Bordeaux than Napa Valley. Made from a blend of Cabernet Sauvignon, Syrah, Malbec, Merlot, Cabernet Franc, and Petit Verdot, it should drink nicely for a long time. This will also be more versatile with food than an explosive Napa Valley Cabernet. For $32 or so, raise a glass! Here's a wine that has good depth and density, but is a bit too savory and mouth-puckering. Maybe it will flesh out given some time, but it's not coming together right now. Made from Tinto Fino (Tempranillo), this wine is from Ribera del Duero in Spain which is a region that can produce some rustic and charming wines. I paid $13 for the bottle, but you'd do better to grab something else. Intense dark plum hue with an equally intense bouquet of plush fragrant sweet, nearly floral smelling fruit full of dark berry and rose petals! Later it's cranberries or dried cherries. Very nice! Bitter front with a bite, sweeter presence of big, ripe dark blackberries; rear full of more berries, and a finish that is decent. This is a BIG wine from down under AND one I purchased reluctantly due to the ubiquitous "kangaroo" wines from Yellow Tail which, while popular, are wearisome in their drab mediocrity. This Reserve Shiraz is worth a try and at the $10 price point I paid for it, it' s a solid value that will improve with a couple more years on it so raise a glass! Light watermelon hue with fragrant, floral, strawberry juice with tropical fruit undertones and sweet spice. 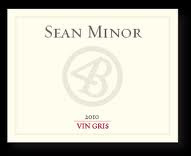 Palate--structured with solid acid foundation carrying a balanced, red fruit, off dry quaff. We paired this with a pasta primavera and was a nice coupling. This is a good room temperature rosè but you could chill it down for a summer on the veranda though you would lose some of the purity of this wine. Whatever you do, raise a glass! Very dark, intense purple black cherry hue--Wow! Bouquet is peculiar with more fresh grape aromas than wine aromas. I remarked to my wife that it reminded me of a home made wine. I wasn't expecting much. Palate-- Silky tannins,, shallow on opening but needed to breathe it. Beneath the obvious immature grapiness, is a solid wine waiting to mature. After breathing, there is black cherry fruit that is dark and fairly deep. Nero D'Avola is wonderful grape and Sicily does it well. 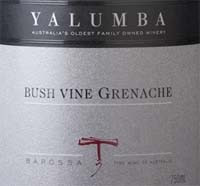 It is fruity and full of cherries and darker berries at its best and it is always fairly inexpensive. At $6, I will get 3 more bottles and lay them down to give them more time. This should be good so raise a glass. Black cherry hue with slight cola notes with black cherry and cherry aromas. Palate--Okay structure but short all around, some steely "Tuscan fruit" but all in all is pretty empty. This is a Trader Joe's selection at the $6 price point. Now you don't expect much at that price point and in this case that's what you get--not much. But I have posted many reviews of wines at this price point that are bargains so don't lapse in to the snob pool and turn you head based solely on price. TJ's has some great bargains, this just isn't one of them so pass on this. Mature garnet hue with black cherry, port like aromas of prunes but shallow though nice. Palate--Sweet of course, again shallow but decent structure though fruit and flavor is lacking all around. Banyuls is a fortified (dessert) wine made from Grenache that has similar qualities to port wine but of course is not port. so perhaps this is not a good example; I don't know as this is my first Banyuls and it was not impressive especially at the $25 price tag for a 500ml bottle. So perhaps I will give another a try but like you all, I work for a living and my wine expenditures are valuable to me. You hate throwing away good money on a marginal creation which is why we taste and review for you! Hopefully we save you the bad experiences so don't raise a glass of this one! Dark garnet hue with big cab aromas of lush blackberry jam and plum with awesome fragrant spice of anise, licorice and caraway. Palate--"Sweet" presence (but it's not sweet)that is lovely and integrated although still has a "hard" front, with bold structure carrying the pure Cabernet berry flavors. Here's where wine separates itself from all other beverages; our Los Angeles friend Edwin gave us two bottles of this when we were out there in March. We had one there with him sitting around the dinner table with my grand children and daughter and son-in-law, and now this one months later back in Maine. Even in his absence we were reunited in spirit on opening of this second bottle from him so raise a glass! Garnet with brambly blackberry jam, chocolate that dissipates. Palate--cinnamon with Jammy fruit,wild foundation, smoke and charcoal. At the $11 price point this is always a reliable Zin and easy drinking. For me, Zinfandel is just plain tasty so raise a glass! This is a good wine from year to year, and the 2009 really delivers. 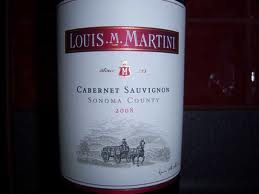 It has beautiful ripe fruit and retains balance and finesse. In fact, I enjoyed this wine with a salmon burger. Typically priced around $17, I recommend this for anyone looking to re-discover Zinfandel. Raise a glass! I concluded my tasting notes like this: very good, beautifully made, exotic, smooth, and flavorful. Say no more. At $16 or so, pop the cork and raise a glass! Solid garnet hue with fine aromas of slightly vegetal sweet, fragrant, blackberry with a little wildness (like a Zin) to it. Palate--drinking spectacularly now which for such a young wine is impressive. Integrated, with gentle tannic structure and full berry pleasure on a balanced package. This Sonoma Cab is really well done and while I am planning to have it with grilled burgers, I'm not sure there will be anything left for dinner. Raise a glass of this value wine. I think I paid around $14 for it and it isa steel at that! Aromas of stewed cherry and dark fruit not characteristic of Grenache, Carignan and Syrah of which this is a blend. Palate--A tad tart, with biting acid and a little chewy; flavors of dark reddish brown fruit with a finish that is a bit bitter. This wine is from the Rousillon region of France and was grabbed by a friend seeing it for $3.00 I believe. This is a great example of a wine that is beyond its peak and failing fast which is why it was on sale for such a price. But an axiom of wine is that if you don't enjoy the wine, no price is a bargain. Pass on this and when buying a wine dirt cheap, make sure the store has a policy of taking back such wines. I have only had one store that would not accommodate such a return--yes opened and partially drank! And if they do not, don't buy the wine and find another store!